Our Executive Management Committee is responsible for strategic business planning, decision-making and the overall management of the Company. The Executive Management Committee comprises of the Chief Executive, Chief Financial Officer, Business Vice Presidents and Heads of the Human Resource and Legal functions. The Chief Executive is the Chairman of the Committee. Asif Jooma started his career in the corporate sector with ICI Pakistan in 1983 and has over 30 years of extensive experience in senior commercial and leadership roles. 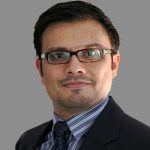 Following early years with ICI Pakistan and subsequently Pakistan PTA Limited, Asif Jooma was appointed Managing Director of Abbott Laboratories Pakistan Limited in 2007. After serving there for nearly six years, he returned to ICI Pakistan as Chief Executive in February 2013. 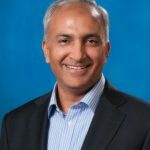 A Bachelor of Arts in Developmental Economics from Boston University, Asif Jooma has previously served as President of the American Business Council, President of the Overseas Investors Chamber of Commerce & Industry, member of the Board of Investment, Government of Pakistan and Chairman of the Pharma Bureau. Asif Jooma serves on the Board of NIB Bank Limited, Systems Limited and is the Chief Executive of NutriCo Pakistan Pvt. Limited. He is on the Board of Governors of the Lahore University of Management Sciences and the Indus Valley School of Art and Architecture, and is also a Trustee of the Duke of Edinburgh’s Awards Programme. Asif Jooma has attended Executive Development Programmes at INSEAD and Harvard Business School. Abid Ganatra was appointed a Director on the Board of ICI Pakistan Limited on December 28, 2012 and as the Chief Financial Officer of the company in April 2013. Abid has been associated with the Yunus Brothers Group since 1994. He has more than 20 years of diversified experience at senior management positions with emphasis on financial management, operational management, capital restructuring, mergers and acquisitions, corporate and legal affairs as well as taxation. Abid is a fellow member of the Institute of Chartered Accountants and the Institute of Cost and Management Accountants of Pakistan. He also holds a Bachelors in Law and a Masters in Economics. Nausheen Ahmad oversees the Company’s legal, company secretariat and corporate communications functions. Having spent over three decades in the corporate sector, Nausheen brings with her a tremendous amount of experience and expertise in the legal field, as well as proven leadership skills. Nausheen began her legal practice with the corporate law firm Surridge and Beecheno. 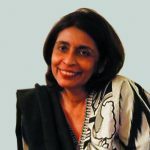 Later, she went on to hold the position of legal counsel at Pakistan Petroleum Ltd, Unilever Pakistan Ltd, and ICI Pakistan Ltd before moving onto HBL as the Company Secretary and General Counsel. Nausheen has an LLM degree from the University of London, an LLB from Kings College London, and a degree in the Philosophy of Religion from Kings College London. She was called to the Bar from the Honourable Society of Grays Inn London and is registered as an Advocate of the Sindh High Court. Nausheen was also accredited as a mediator and master trainer by the Centre for Effective Dispute Resolution, UK. Throughout her professional career Nausheen has held several leadership positions. She was Non-Executive Director of First Women Bank Limited (FWBL), and played an active role in setting up the Pakistan Mortgage Refinance Company (PMRC). She has been with the legal and regulatory committees of the Pakistan Bank Association and the Pakistan Business Council. With her strong interest in Corporate Governance and Training, Nausheen has been undertaking training assignments with the Pakistan Mediators Association, SZABIST and the Institute of Business Administration. Suhail Aslam Khan is the Vice President Polyester and Soda Ash. He joined ICI Pakistan Limited as a Management Trainee in 1986 with the Soda Ash Business and has over 25 years of professional experience in diverse fields. Prior to his current role, Suhail was the General Manager Human Resources and Corporate Communications & Public Affairs. He has also served as the Site General Manager for the Polyester Business and as Vice President Manufacturing Pakistan PTA Limited. 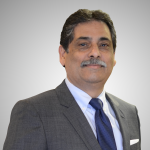 In addition to his role as Vice President of the Polyester Fibres Business, Suhail is also the CEO of ICI Pakistan PowerGen Limited, a wholly owned subsidiary of ICI Pakistan Limited. An alumnus of the INSEAD Business School, Suhail holds a Masters degree in Chemical Engineering from Aston University in Birmingham, UK. Arshad is the Vice President of the Chemicals and Agri Sciences Business. A chartered accountant and engineer by profession, Arshad started his career with Deloitte Touche Tohmatsu International. In November 1997 he joined ARTAL Pakistan (a Belgian conglomerate) as Finance Manager and later took on the roles of Financial Analyst and Operations Manager at the same organisation. In May 2001, he joined Nestle Pakistan as Operations Manager where he was later elevated to the position of Financial Controller. Arshad joined Engro Polymer and Chemicals in 2005 where he served as Chief Financial Officer and Vice President Marketing. Arshad has over 21 years of highly diversified cross functional experience in sales, marketing, finance, supply chain with strategic management exposure spanning over different industries including both B2B and B2C organisations. He holds a Bachelors degree in civil engineering and has completed the AMP (Advanced Management Programme) at INSEAD, France. Eqan Ali Khan has 19 years of leadership experience in corporate strategy, marketing, sales, business development and finance. He has held various senior management positions at Engro Corporation including Business Director – Consumer Staples; Head of Strategy, Business Development & Finance, and Business Head, Commodities. He was also the Secretary to the Board Investment Committee at Engro Corporation where he helped develop the company’s strategy and growth pillars as well as the portfolio framework for risk and returns. Eqan has extensive commercial experience in the consumer foods and agribusiness sectors. He orchestrated the turnaround of Engro’s staple foods business by revisiting its business model and successfully launched the staple foods brand ONAAJ, winning the Pakistan Advertiser’s Society Award for ‘Best in Culinary’. He was instrumental in driving sales and profitability for Engro’s commodities business as well as leading the successful launch of multiple brands in Agribusiness. Eqan helped raise capital for the company through the launch of Retail Term Finance Certificates including Engro Rupiya and Engro Islamic Rupiya as well as through the IPO of Engro Powergen Qadirpur Limited (EPQL). He holds a Master in Business Administration from IBA, Karachi.He has also received executive education from the Harvard Business School, Kellogg School of Management and the Indian School of Business. Fariha Salahuddin is the General Manager Human Resource and Administration at ICI Pakistan Limited and possesses over 19 years of experience in her field. She is an accomplished commercially focussed Global HR Leader with deep expertise in analysing organizational needs; and designing and implementing practical and innovative HR Strategies. 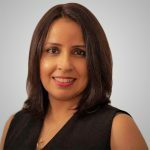 Fariha has spent a major part of her career with GlaxoSmithKine (GSK), where she has enjoyed working on all aspects of the HR Function on a local, regional and global level. She began her HR career in February 2003 as an Assistant HR Business Manager at Unilever. In 2004 she joined GlaxoSmithKline as Senior Human Resource Manager, following numerous senior roles which included HR Director – Pakistan, Vice President HR, Middle East Africa and Vice President HR, Emerging Markets and Australasia. In 2016, she took over the role of Vice President, Global Talent Business Leader, Consumer Healthcare based in the UK, after which in December 2017, she left GSK to pursue an opportunity with Mölnlycke Health Care, Sweden as Global HR Business Partner. Fariha’s primary strengths remain in building and leading HR teams, delivering customer-centric HR Solutions, and adding sustainable and measurable value to ICI Pakistan Limited and its people. She holds a Master’s degree in Human Resource Development from Pittsburg State University, USA, and a second Master’s degree in MS, Family Relations and Child Development from Karachi University. 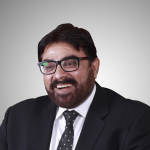 Aamer Mahmud Malik is the Vice President of the Pharmaceuticals Business at ICI Pakistan Limited and possesses over 30 years of senior managerial experience in both local and international markets. He started his career as an Audit Senior in May 1987 with Clarke & Co, Chartered Accountants, London. 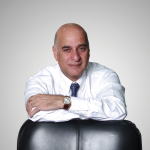 In 1988 he joined Citroen Wells, Chartered Accountants, London and in 1990 moved back to Pakistan. On his return he joined A.F.Ferguson & Co (PWC), Chartered Accountants, Pakistan as Assistant Manager Audit. In February 1992, he took over the role of Senior Executive Finance with Attock Oil Group of Companies and later in November 1992 joined AB Electrolux as Finance Manager, Pakistan and in November 1994 he was seconded to Malaysia as internal Audit Manager. Aamer is no stranger to ICI Pakistan Limited and is a seasoned professional from the pharmaceuticals industry, having served in diverse roles in Pakistan and abroad. 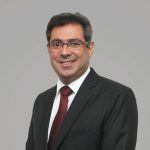 In January 1997 he joined ICI Pakistan Limited in the capacity of Finance Manager, Paints Business (currently AkzoNobel Pakistan Limited) and in January 1999 his services were transferred to the PTA Business (currently known as Lotte Chemical Pakistan Limited) in the capacity of Vice President Finance, CFO and Company Secretary. In February 2005 Aamer joined Abbott Laboratories as Host Finance Director / CFO, Pakistan and in July 2008 he was seconded to Japan by Abbott. In January 2011 he took over the responsibilities as Area Finance Director, Established Pharmaceuticals, Asia Pacific in the same company. In May 2018 he was appointed Director, International Finance, Strategic Projects, Established Pharmaceuticals, Emerging markets. Aamer holds a Chartered Accountancy degree from England & Wales, UK.